We are delighted to open the applications for a new internship in Namibia working with desert elephants. The internship is open to students of biology, conservation, environmental science, ecology and other relevant disciplines. Working alongside researchers and volunteers, this internship is the perfect opportunity for students to put into practice what they have been studying during the year. It offers the chance to get some real hands on conservation and research experience, and to contribute to the vital protection of desert elephants. The research done by this award-winning NGO provides the local wildlife authority with accurate information about elephant populations which is turn helps with elephant protection. We are looking for people to take part for as little as 4 weeks and as long as 12 weeks during a study break. This could be over the Easter break or the longer summer break. The minimum commitment on this project would be 4 weeks and currently the maximum duration is 12 weeks. This programme is split into two week blocks. As an intern you will alternate between these for the duration of your programme. During the building week the objective is to build walls around water sources that are located on farmsteads in the Namibian desert. The reason for doing this is that wild roaming elephants smell water from great distances and try to access it. This causes damage and leads to elephant-human conflict. You will be making an important contribution to the conservation effort in the area, whilst gaining an invaluable insight into how conservation is practiced. Week 2 of each fortnightly block is spent tracking elephants. The aim of this part of the programme is to track and monitor wild elephants. You will be working alongside a local expert who will share their expertise with you. When you find elephants you will collect data which is fed to the local wildlife authority. 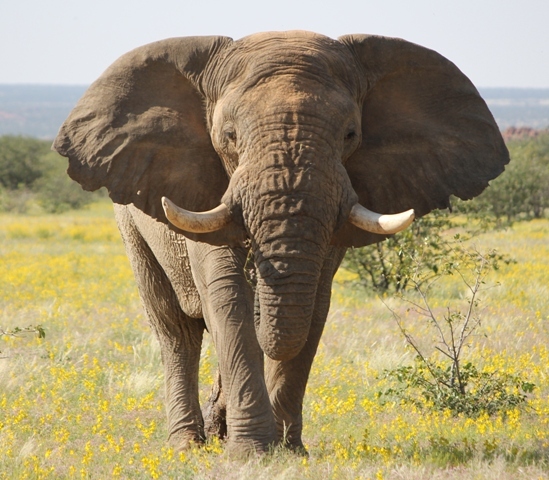 This research helps to identify which farmsteads are most at risk from elephant damage. We are currently offering internships for 4 – 12 weeks to students in the relevant field. This includes your accommodation, food, full instruction and a comprehensive internship programme. In addition to this you would need flights to Windhoek (around £650), travel insurance (from £30), transfer from Windhoek to the programme (about £40). Applications can be made online through the online form.